Current Year Program Registration — Open to the Public! Welcome to the home of Little Cherubs Christian Preschool located within Cheshire Lutheran Church. We are now accepting enrollment for 2 years 9 months – 5 years for the 2018/2019 school year. Please contact the Director (Joann Adinolfi Holstein) at (203) 272-1150 or via our email contact form to set up a tour of the school, or to answer any questions you may have. We look forward to hearing from you to get your child started today! Select any of the tabs below to learn more about our specific preschool areas. An Early Childhood Educational Program — Open to the Public! Welcome to the online home of Little Cherubs Christian Preschool. Please read on to learn about the programs and offerings we have available, read our mission statement, and see if our program may be right for your child. Little Cherubs Christian Preschool welcomes all children and does not discriminate according to race, creed or color. Interested in learning more, check out our Informational Brochure on the lower right side of this page, or contact us today. 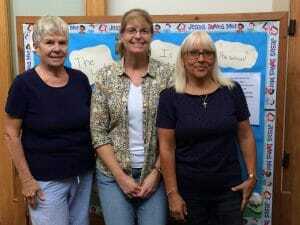 The dedicated staff of Little Cherubs Christian Preschool is comprised of experienced and diverse adults. Decades of educational teaching years make up our team and we look forward to working with you and your children. We have an open door policy and encourage parents and guardians to be involved in your child’s learning. Over the years, parents and staff have captured several photos of the preschool in action. We share these with you for two reasons, first to see the wonderful memories that are created, and second for you to see how our facility and grounds allow for an effective place to nurture and educate your child. Sit back and watch our animated slideshow, or you can manually advance through them by clicking on the left or right side of the image to go forward or back. Enjoy! View our Little Cherubs Christian Preschool Information Brochure available in PDF format. Adobe Reader is required. Little Cherubs Christian Preschool is a community whose mission is to share the love of Christ with preschoolers from Cheshire and the surrounding communities, providing those entrusted to her care with a sound Christian curriculum and quality learning opportunities which will assist parents in the nurturing of their child’s spiritual, intellectual, social, physical and emotional growth and development.